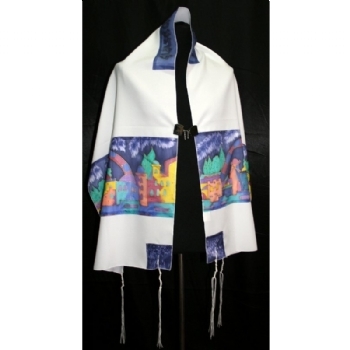 Made in Israel absolutely gorgeous and unique Silk Tallit design in Blues. Featuring depictions in the horizon of Jerusalem. Further custom sizes available upon request. Bag and Kippah included in Set.